This is a 49 year old female that consulted with me for Botox Cosmetic. 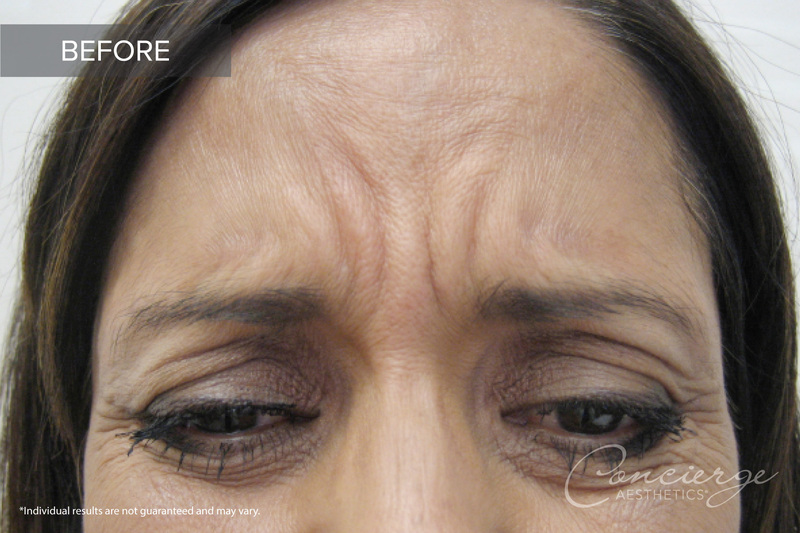 Her priority are was the glabella (between the eyebrows) and she had never done Botox before. She was nervous but I promised her that we specialize in a natural look and she was in good hands. 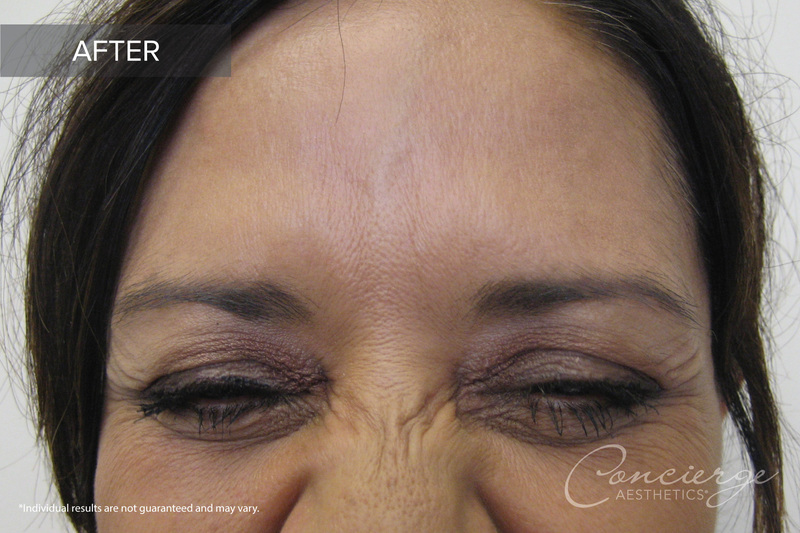 We used 20 units of Botox and she was elated to see the difference this made in her face—she could no longer make such a strong frown which allowed for a more relaxed and lifted look around her eyes.